Organic fertilisers are made from a wide variety of naturally occurring organic materials which all release their nutrients after different periods of time giving your lawn a consistent feed over a twelve-week period. Organic fertilisers are made from a wide variety of naturally occurring organic materials which all release their nutrients after different periods of time giving your lawn a consistent feed over a twelve week period. Universal Lawn Feed has effective ingredients of nitrogen, phosphate and potash + magnesium of 7-5-8 + 3 and is ideal for keeping your lawn healthy and green throughout the growing season giving you a lawn for the whole family to enjoy. That is why we call it Lawn Comfort Food. 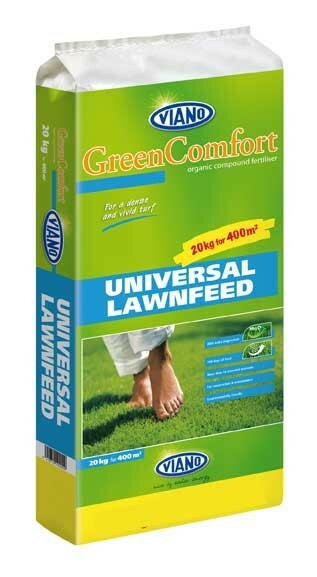 Universal Lawn Feed Fertilizer comes in 20kg bags (granular form) which covers 400 sq.mtrs. information: To help you decide what the best time of year is to apply your organic fertiliser, we have prepared a timetable which you can see if you click here. note: Click on the following link to download a brochure on the Green Comfort Organic Fertilizer. note: Click on the following link to download a document with Spreader Settings. note: Click on the following link to download the Product Datasheets. 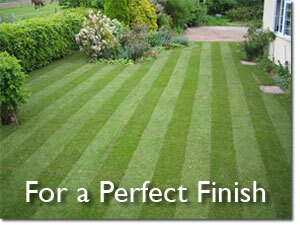 *Months for application are approximate as seasons vary from year to year. They are also dependant on where you are in the country. Click on the following link to download a document with Spreader Settings.